FREE BIEBER! Justin Bieber faces 5 brutal years in prison. A new bill in Congress makes posting a video containing any copyrighted work a felony-- with up to 5 years in prison. But wait... didn't Justin Bieber get famous by posting YouTube videos of himself singing copyrighted R&B songs? Yep. If this bill passes, he could get 5 years in jail. Just after 3pm PST, Bieber tweeted "OMG-- cops at house, want to arrest the bieb re: those neyo songs PLS RT!!" By 3:12pm, a now-routine "online singing" arrest had become a tweenage riot. A SWAT team was deployed to extract Bieber from throngs of small but enraged fans. Bieber girlfriend Selena Gomez made an appearance during Tuesday's visiting hours to show support for the jailed star. "Oh f--- no, I killed that s---." Thanks to S. 978, prosecutors just had to prove Bieber benefited commercially in some way, and that was easy--the videos advanced his career. The defense claimed fair use, but the judge--with 217 "felony streaming" cases to hear that week alone--gave Bieber the maximum sentence: 5 years. The music and film industry are "not concerned" that their own law has jailed one of their stars. Said the RIAA's Mitch Bainwol, "We've already sued 13-year olds into bankruptcy. Getting the government to jail them was the logical next step. These 'singer' types are a dime a dozen anyway." Many famous musicians have spent time in jail, though Bieber is the first to do so for singing. Firearms, drunk driving, and domestic violence charges are much more common, and sentences for these rarely reach five years. In his first from-jail interview, Bieber addressed the controverisal decision to have an ice cream cone tattooed on his face. "I told the guys I wanted to wear Gucci and they gave me this. I don't even know what it means." From super-stardom to a shared cell with a stainless steel sink/toilet... Bieber thinks "How did this happen?" It hasn't, but it could soon. Nobody should go to jail for harmless self-expression. Congress urgently needs to hear from you! Please Take 10 Seconds to Sign Our Petition and Stop This Bill. Fight for the Future will never share your email with anyone, but we will contact you about related campaigns. Says bill sponsor Klobuchar (D-MN) should be "put away in cuffs"
Should this be a felony? Should it be illegal at all? He's an American Canadian teen pop celebrity who got discovered on the internet. For more information than you could possibly want, visit wikipedia or ask a 7 year old. Seriously, any 7 year old. On the planet. Both Democrats and Republicans usually go along with the music and movie companies, even Republicans from conservative places where "Hollywood" is a dirty word. Funny, that. It's because they're scared of the lobbyists' money and they think voters don't care. This is a video of child celebrity Justin Bieber singing "With You" by the artist Chris Brown. YouTube videos like this one were what made him famous. Tons of kids do this for fun, and many now-popular artists got started in this same way. Copyright law is so extreme, just singing somebody else's song in public could be infringement. Because he and his mother posted the videos (which often included copyrighted backing recordings) to advance his music career, it's commercial infringement. And a new bill would make this a felony. 5 years in jail, for singing! The maximum sentence would be five-years, just for singing a cover! Other online video "crimes" could include: videos of a school play, a professional baseball game, or videos with incidental background music (even just a ringtone). Nuts, right? The music and movie companies'. In their eyes, stricter copyright law = more $$. They liked when people paid $18 for their plastic discs rather than watching wonderful stuff made by people online. They tried to ban the VCR and they'd like to turn the internet into a movie store. Should we stop putting videos of our kids and families singing songs on the internet? Of course not! But if we don't stop laws like this, innocent people are needlessly going to get hurt. Any law that could give Justin Bieber 5 years in jail for singing covers on Youtube goes way too far. But the only way Congress will listen? Sheer numbers. Luckily, this particular law is so extreme, anyone can see it's a bad idea. So share as much as you possibly can--the more signers, the stronger the message. Things you can do to stop this bill? First, Sign the Petition. 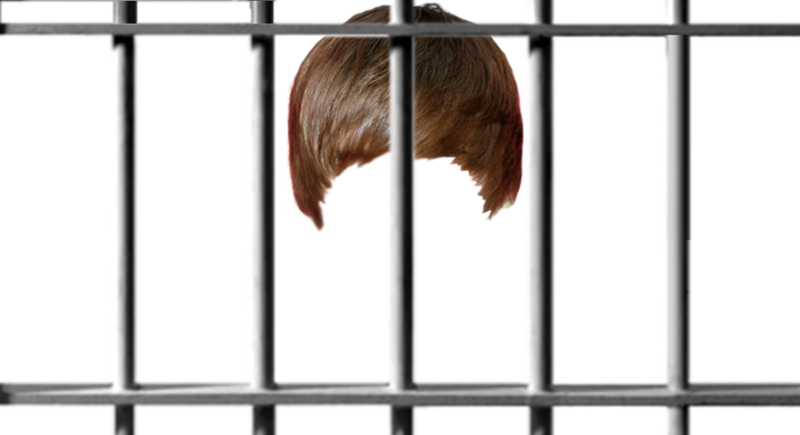 Send a message to Congress from behind bars using the Bieber Cam. 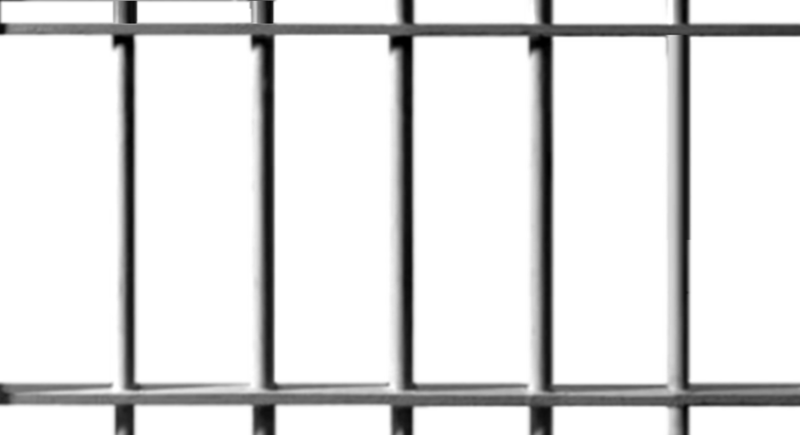 Transparent jailbar overlay, with wig! Why is Justin going to jail again? Make your own video with the Biebercam! This is one of the most amazing cover performances. I would not want to give up seeing a video of this ever. Halo 2 is pretty awesome, but its creators shouldn't have the power to put people in jail for screencasts if S.978 passes. Prison food as bad as expected. After 3 days, Bieber caves and goes to the bathroom. Bieber is losing his mind, still wearing pants while pooping. Patrick Leahy can't break my stride. This is embarassing. I have something in my eye. "It's not fair. I stayed away from drugs and punk rock." "Justin, while you're in there, can you give this check to Madoff." This shirt does exist in a warehouse, ready to be shipped. This tattoo does exist in a warehouse, ready to be shipped. Here is what peeps are saying!